It has been estimated that in the U.S., every year, about 2.6 million people have some type of brain injury. This is the result of trauma, stroke, tumor, or other illnesses. More than 5 million Americans who have suffered brain injury require assistance in performing daily activities. Burke Rehabilitation Hospital is actively involved in all aspects of treatment. 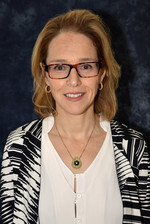 The Director of the Outpatient Neuropsychology Service, Dr. Heidi Spitz, work closely with other disciplines to ensure effective comprehensive intervention. How does a brain injury affect your life? When someone suffers a brain injury, their world turns upside down and they are forced to deal with a constellation of unfamiliar and often upsetting issues. The presentation of brain injury fluctuates over time, and the person’s needs change accordingly. Significant others and caregivers are also adversely affected by this trauma. Understanding the injury, as well as the ongoing rehabilitation process, is necessary for the effective management of the patient. The brain is the most complex organ in the body. It controls and coordinates voluntary and involuntary functions. Depending on where and how severely the brain is injured, the person will experience different cognitive, behavioral and emotional changes. Cognitive issues in people with brain injury typically include problems with attention, memory, processing speed and problem-solving abilities. Behavioral and emotional challenges include irritability, impulsivity, depression, anxiety, and difficulty with emotional control. Customized rehabilitation and long term intervention are essential in order to optimize the person’s outcome. Assessment: Neuropsychologists administer tests which clarify how an injury has altered the brain’s ability to process information. Specific changes in behavior and emotion are also noted. Findings from these evaluations determine rehabilitation requirements. Cognitive Remediation: Specific physical, cognitive, emotional, and behavioral factors that may complicate treatment efforts are identified. Cognitive exercises emphasize compensatory strategies that use an individual’s strengths to offset specific deficits. The goal is to enhance the person’s ability to address daily needs. Individual Psychotherapy: Psychotherapy is an integral part of treatment and focuses largely on awareness of deficits and acceptance of disability. Adjustment to pervasive change and loss is explored in this process. The impact of the brain injury on social functioning is also addressed. Family and Couple Therapy: Caring for a loved one following brain injury can result in confusion, exhaustion, and frustration. In addition, people who experience brain injuries may isolate themselves from their social system and yearn for affirmation of their struggle. Significant others should therefore be actively involved in the treatment process. Group Therapy: Our groups are diverse and explore many issues that impact the various stages of the rehabilitation process. Each group has its own focus and members are placed in a therapy group that best matches their needs. Outpatient neuropsychology services may be covered by insurance but will need to be verified by each patient's particular plan. A prescription from a physician may also be required for the neuropsychological evaluation. For more information about Burke's outpatient neuropsychology program or to schedule an appointment, please call the Burke Medical Group at (914) 597-2332. Dr. Spitz has been practicing psychology for over 25 years. She has trained and worked in leading hospitals in New York City, including Rusk Rehabilitation at New York University Langone Medical Center, New York Presbyterian (Columbia University and Weill Cornell Medical Centers), Mount Sinai, Bellevue and Lenox Hill. In this capacity, she has also supervised interns and postdoctoral students in psychology. Dr. Spitz is primarily interested in brain injury of any cause, whether as a result of trauma, chronic illness or any other condition. She is committed to helping individuals improve their cognitive and emotional functions either individually or in group settings. This process also involves active participation and involvement of family members which is critical for a successful outcome. Dr. Spitz is a member of the American, New York State and Westchester County Psychological Associations and is on the Alumni Council of Ferkauf Graduate School of Psychology, Yeshiva University. She received her bachelor’s degree in psychology at New York University and her doctoral degree in clinical child school psychology from Ferkauf Graduate School of Psychology at Yeshiva University. In addition to one-on-one therapy, Burke's outpatient department also offers specialized therapy groups. Each group is tailored to help individuals and their loved ones navigate the unpredictable and exhausting rehabilitation journey, which is often full of uncertainty and fear. We provide beneficial group sessions that can facilitate positive responses to the adverse impact of injury and illness. The therapy groups are facilitated by professionals in the field of neuropsychology, with specialized training and experience in addressing each individual’s unique clinical needs. Our groups are diverse and explore many issues that impact the various stages of the rehabilitation process. Click here to read descriptions of each group. For more information, call (914) 597-2332.